Winston-Salem Police have identified a man wanted in connection with the death of a Winston-Salem State University football player. 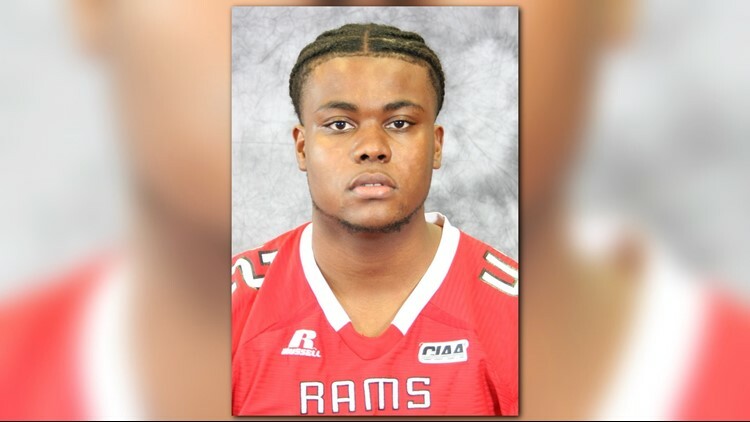 WINSTON-SALEM, N.C. – Winston-Salem Police have identified a man wanted in connection with the death of a Winston-Salem State University football player. Police are looking for Jakier Shanique Austin, 21, in connection with Najee Ali Baker’s death. Baker was shot at a party at “The Barn” which is an event space located on the campus of Wake Forest University. Investigators said Baker died from his injuries at a nearby hospital. Police obtained warrants for arrest charging Austin with Murder and Possession of a Firearm on Educational Property. On Tuesday, police issued information wanting to question three men as part of the investigation. Police said one of the men was a victim of an assault in which a firearm was pointed at him near where Baker was shot at the party. A 16-year-old wanted has since been charged with Possession of a handgun by a minor, Assault by Pointing a Gun, and Possession of a Firearm on Educational Property. On Wednesday dozens of WSSU students gathered for a vigil to honor Baker at the Clock Tower. Police said Austin has tattoos on both of his arms. If you have any information call the Winston-Salem Police Department at 336-773-7700 or CrimeStoppers at 336-727-2800.